As I drove into town this evening, I kept noticing naked lady lilies (Lycoris squamigera) blooming in the yards of some of the oldest houses. These fascinating members of the Amaryllis family are bulbs that first appear in spring with strappy leaf growth, looking like beefier daffodils that never flower. The leaves die back and then, suddenly, in late July or early August tall stalks shoot from the ground and unfurl translucent pink flowers that do indeed have the luminescent glow of bare flesh. Because of this disappearing/reappearing trick, they’re also known as surprise or resurrection lilies. 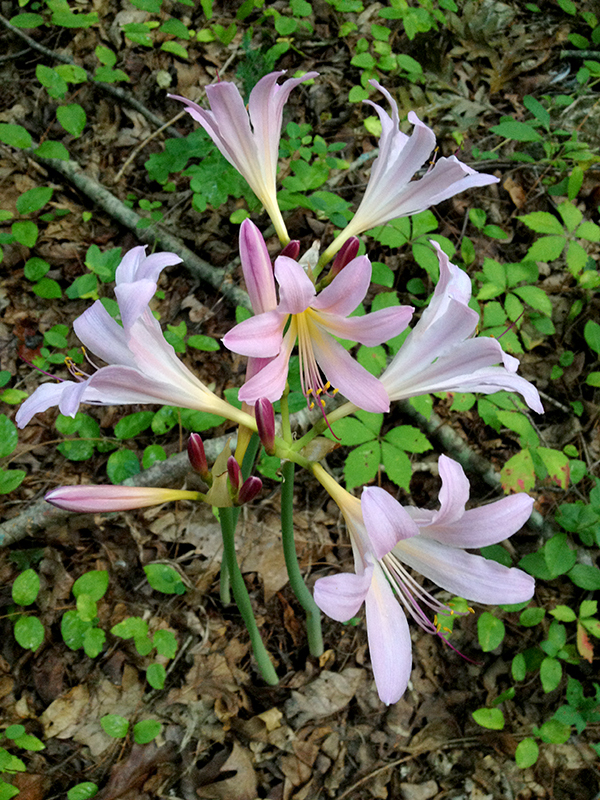 Because of their ephemeral nature, it took me a few years to realize I had a clump of these lilies growing in my woods near the previous owner’s junk pile. I hurried out there tonight and caught my own naked ladies on their first day of bloom. Like many lilies, these have a strong, sweet scent. They really are pretty magical, holding court in the old oak grove. 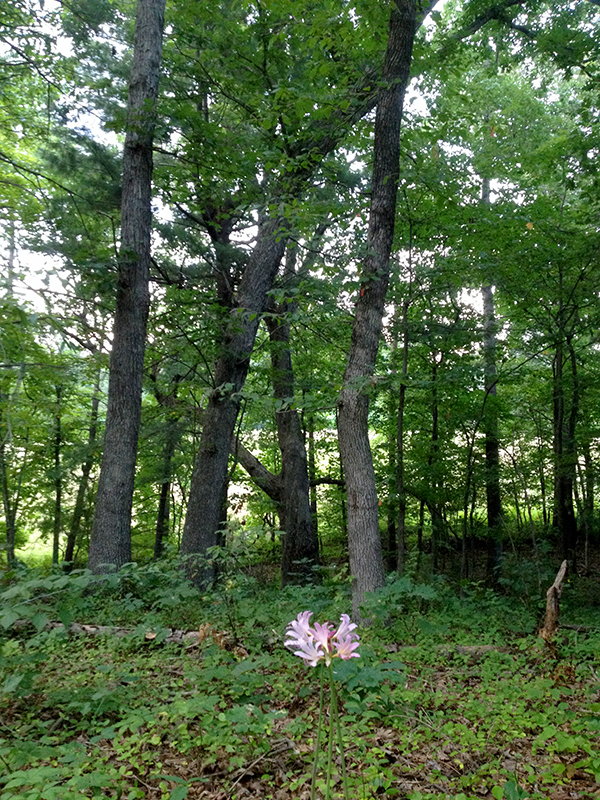 I associate surprise lilies with old homesteads as they are amazingly long-lived. I wonder how mine got in the middle of the woods. I have several mysterious patches of cultivated plants in my woods, including groups of irises and other spring-flowering bulbs. Were they planted to mark a grave, perhaps of a beloved pet, or were they chucked into the woods during garden cleanup, as I’ve done with some of my own iris rhizomes? I suppose I will never know, but I enjoy them just the same. You are currently reading Naked lady, surprise lily at Bonafide Farm.